Mr. Willimon Clay Rickenbacker, aka Bill, son of Landis and Ella Mae. Rickenbacker was born May 24, 1955 in Orangeburg, South Carolina. He entered into eternal rest on January 8, 2019. Preceding him in death Landis Jr. Dennis, Jaine Mae Williams, John Louis Rickenbacker. He graduated from Edisto High School, later working at AYP before moving to New Jersey. 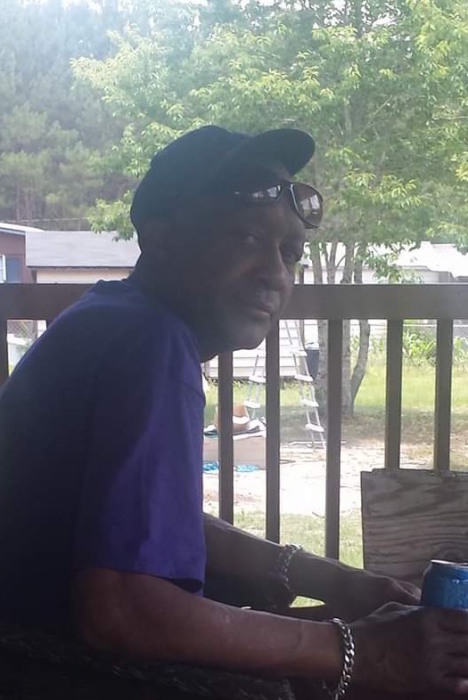 Bill is survived his children, John, Taylor and Lafiesta of Orangeburg, SC, son, Jermaine Tucker, Columbia, SC, Zandra Tucker, Orangeburg, SC, Tammie Jamison, Orangeburg, SC; three sisters, Bessie (Harry) Shuler of Cordova, SC, Julia Simpson, Cordova, SC, Ernestine (Clarence) Frazier of Cordova, SC. Rickenbacker had several grandchildren; Rakeis Tucker, Jasmine Tucker, Sa'Nya Taylor and Shafaria Jamison all of Orangeburg, SC, Destiny Inman of St. George, SC. A great grand daughter, Anyiah William and a host of nieces, nephews, cousins and special friends; Clara King, two special cousins of the home; Hattie (Eddie) Johnson of Orangeburg, SC, Robert and Verneatha Rickenbacker. Viewing will take place on January 16, 2019 at Glover's Funeral Home from 2:00 pm until 8:00pm. The funeral service will be held on January 17, 2019 at Emanuel AMC Church located at 1897 Hudson Rd in Cope, SC at 11:00am.